Back in 2013, inspired by PyCoders Weekly, a great Python email newsletter, I created Pi Weekly, the same sort of thing for Raspberry Pi. Each week I curated a collection of links to news, projects and articles from the Raspberry Pi community. Its subscriber base grew steadily and within a few weeks it was featured on the Raspberry Pi blog. 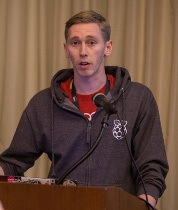 Towards the end of that year I was given the opportunity to go and work for the Raspberry Pi Foundation, and I continued to run the newsletter in the same format. 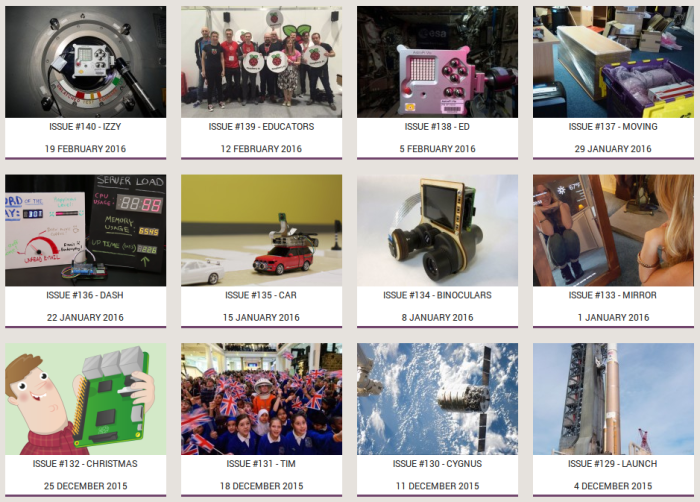 140 weeks into the project, having not missed a single week, it was relaunched with a new look and moved into the Raspberry Pi website as the Foundation’s official newsletter. I created a simple system for the newsletter generation. The whole thing is based within in a WordPress site, and issues are just posts with a set of custom fields, a repeater for the links, and a post template to show the issue as a web page. Then a plugin I wrote generates a full document of the same content in email-friendly HTML. For Pi Weekly, this was just a bog standard Mailchimp email template with my content in it, but for the official Raspberry Pi Weekly, I created a custom template made by our designer Sam Alder. The code for Pi Weekly is available on GitHub, it just requires the ACF plugin and the appropriate custom fields created. It would be fairly easy to create such a system in another CMS or web framework. I wrote more about how Pi Weekly started and how it played a part in getting me hired at the Foundation in Pi Weekly – MVP, Evolution and My Dream Job and you can see how I announced it in Announcing Pi Weekly.